The Mondial B4c System is designed to be a fully integrated finishing solution on-line with the new Xerox fast colour printer IJP 2000 or the FJ DW842c. The system includes high capacity stacker for image prints and a high speed folder for Cad drawings and ensures high productivity, reliability, accuracy and consistency. 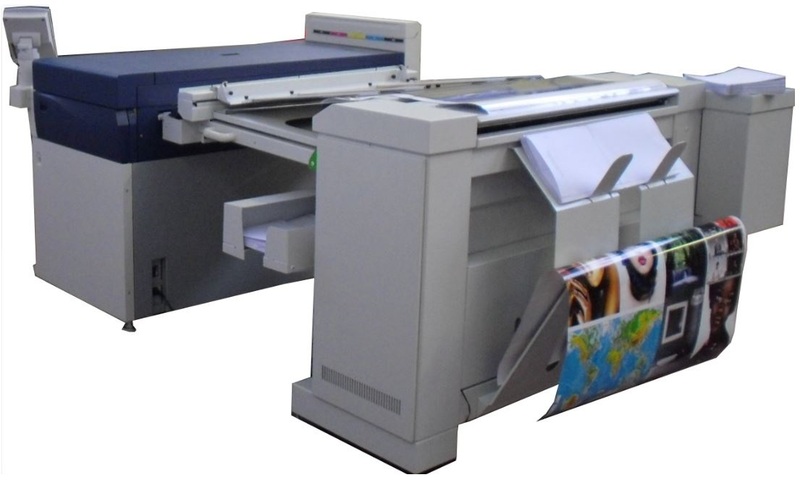 Two version for CAD and Graphic market, the Mondial B4c Folder has been designed to meet the Xerox IJP 2000 high print volume colour meanwhile the the Mondial B4s Folder has been designed to meet the Xerox 6622 high print volume black & white, with a huge standard folded output capacity ! The most powerful and flexible WF system! 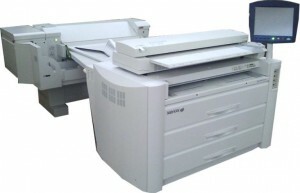 The 4 roll Xerox printer and the Gera folder B4S, with a stacker of 150 A0 capacity guarantee unattended operation. 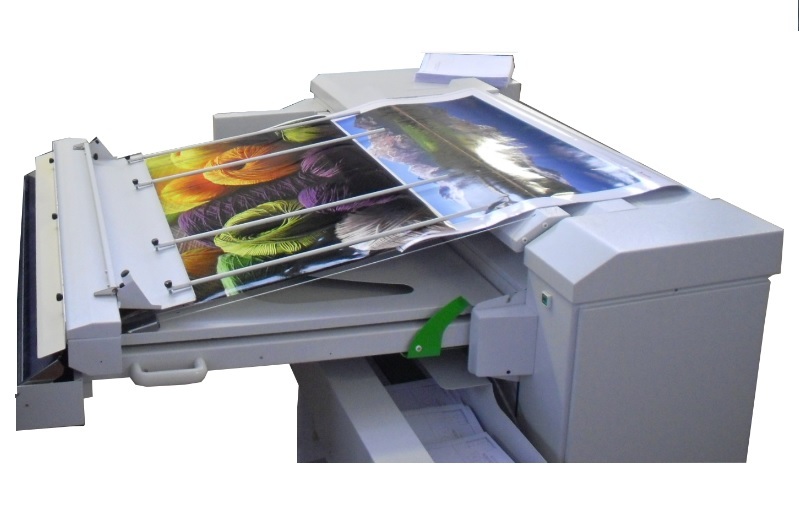 Your prints from the small A4 till the A0 size are handled just like non standard sizes. From the wide touch screen all folder functions can be selected with the possibility to handle the 4 positions of the title block, folded into the desired folding style.